One full serving of fruit! If you feel anything like I do about the 100-calorie “snack packs”, you will appreciate this snack. Each 8 ounce serving only has 110 calories with only 15 of them being fat calories and 2 grams of fiber. I’m tired of the carb filled “snack packs” that offer absolutely no nutritional value to my everyday nutrition needs. I want substance, and not something that is still going to make me crave the actual full calorie item. Back on topic, sorry, I haven’t tried the other three flavors, but the Triple Berry is great. I bought this batch from Costco. The one big bag contained 5 smaller bags, which each contain two servings. This ran me approximately $8-$10. Not bad honestly. I had some spare blackberries, and I decided to add them in for extra berriness this time. Made it a little more seedy than it normally is, but nonetheless very tasty. When you open the bag you will find frozen berries and little chips of yogurt. 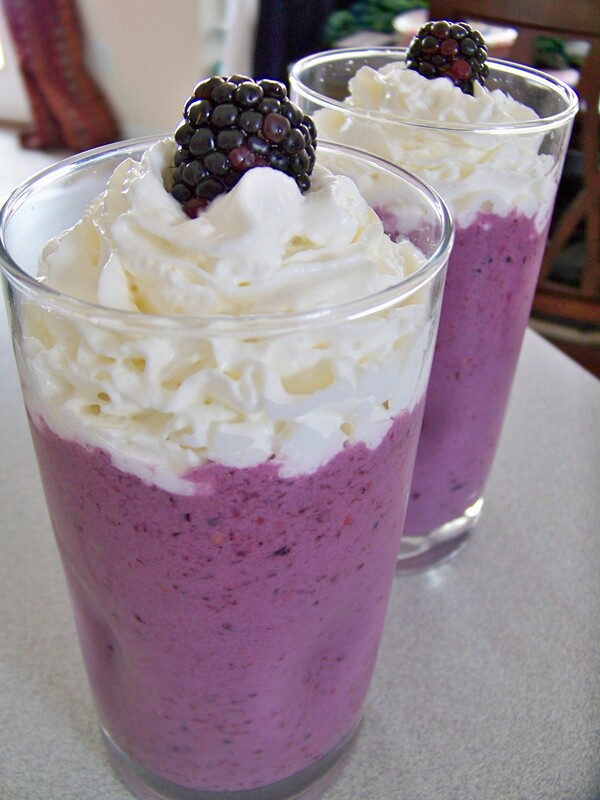 Pour it into a blender with a cup of milk and make sure to have straws ready to go! Enjoy! Previous Post Fluffy, Light, Moist, Easy…What more could you ask for in a cake?? ?